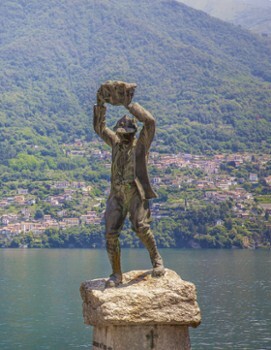 Located in a churchyard, this statue represents a man in the act of throwing a large stone. 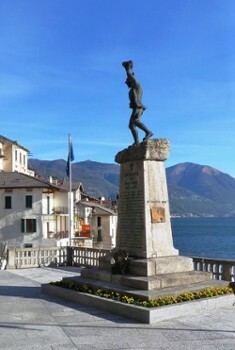 The monument reminds locals of a battle in Libya in which alpinists of Brienno fought. 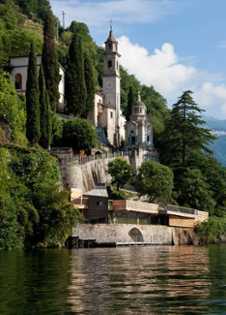 The battalion Morbegno, all composed of soldiers from the lake area, found themselves surrounded by the enemy and without ammunition, the only weapons that could save them life were stones. They did so until reinforcements could arrive. Placement of the statue created a lot of stir because, it looked like rocks were being thrown at those who came down stairs in the churchyard. Turned around and the statue targeted those who entered the church. The final position sought to appease all concerns. 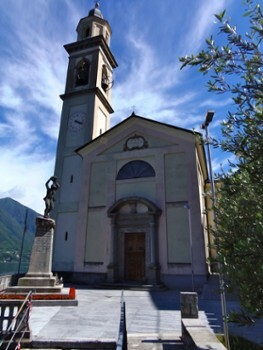 Nearby Things to Do include: Funicular and Cable Cars such as Cablecar Argegno - Pigra; Monuments such as Joseph Frank Pyramid Mausoleum; Water Activities such as Careno Beach and Lido di Argegno; Villas such as Villa Oleandra; Towns such as Nesso and Laglio; Churches such as Church of Saints Nazario and Celso and Santi Pietro e Paolo.